Have you ever wondered how it would be like to enjoy the charm of snowy winter days along with the Christmas all across the year? Would you mind a chance to earn some cash along with? That is exactly what Winter Wonders is going to fetch you. The theme of winter in this game is brought to life with the inclusion of symbols related to Christmas and ice bar reels set beautifully against the snowy backdrop. Since this 5 reels and 15 paylines video slot game is based on winter and Christmas holidays, the featured symbols are appropriately designed to be Christmas stuff like Christmas trees, ornaments, mistletoes etc. The reels are well crafted as ice bars with two snowmen on top and everything is framed against a snowy background. Of course, the wild symbol is designed to be the Santa himself that can be found just behind the wild sign. It is assigned to replace all other reels except the scatter. The scatter is set to be the Santa’s sleigh and the free spin is triggered as soon as three or more of these scatter symbols are landed upon anywhere in the reels. To enter this game, it is essential to set up a bet by adjusting the coin size with the help of “+/-“. The range of these bets can be chosen between .01 to .1 and there is a provision to select lines as well as the number of coins per line. 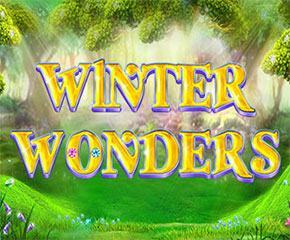 The one and the only bonus feature of Winter Wonders which makes it really lucrative is the feature which gives you ten free spins once you land up with three or more scatter symbols. The best part is that anything won during these fetches can be three times more and any contribution from the wild fetches can be two times more. This process is repeated if three or more scatter symbols are achieved during the game. 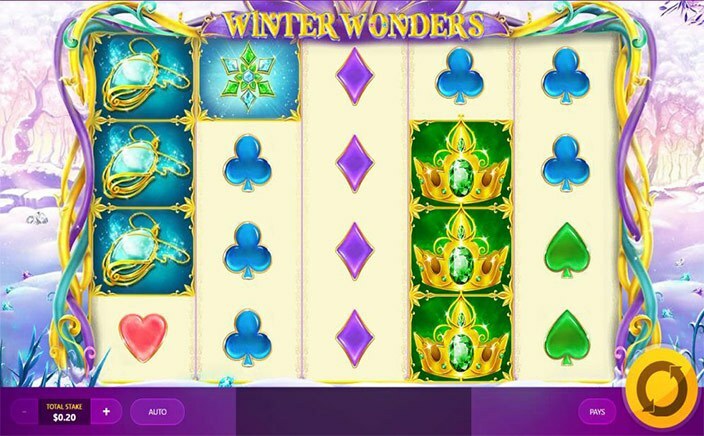 With the number of free spins to be won in the form of bonus features, Winter Wonders stands out among the other Christmas-themed games and should be specially mentioned. The way which the Christmas theme is introduced, together with the background music and pictures, truly demands attention from all the players who really prefer Christmas-themed games.